Turning roots into a soft ombré! A nice fresh new look! This is the 3rd application using the same easilocks hair! It still looks as beautiful as the first day! Another AMAZING Easilocks transformation! Starting from £450 pop in for a consultation! Another Easilocks transformation! 100% damage free, no heat, no glue, no sewing! Only gorgeous thicker hair! Easilocks transformation! Our client only needed 80 strands added as she wasn't to achieve thicker looking hair! Here are the results, her hair looks gorgeous! Easilocks Maintenance, 3 months after first application using the same hair! 100% damage free. Hair looking just as amazing as the first application! 3 months later, second application using the same hair looking just as amazing as the first time! No damage caused after removal & application! These celebrity's have gone for a shorter more sophisticated look! 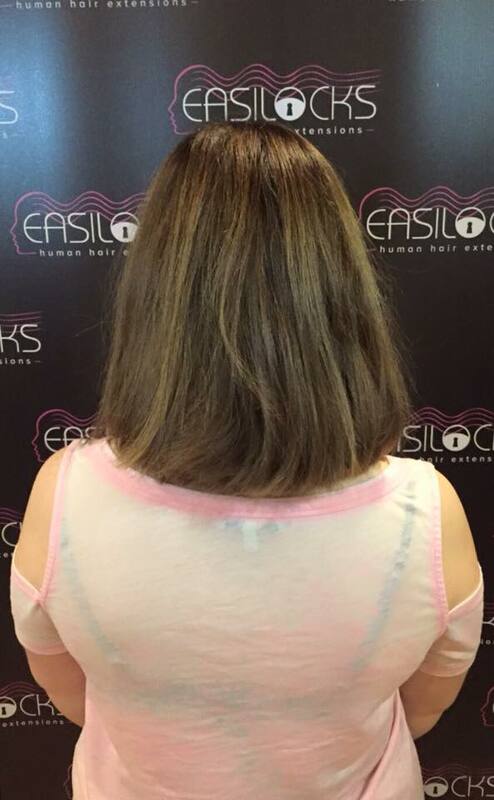 Katie price is using the Easilock extensions to give her hair a more thicker look! Another easilocks transformation done by our senior stylist Rachel! No heat, no glue, no sewing! 100% damage free! We are now a certified salon for Easilocks hair extension! Here is our stylist Paige's before and after pictures looking amazing! No glue, no heat, no sewing, no damage! All done with 100% natural remy hair! As seen on models and popular reality tv stars! Why not pop in and see us for a consultation. We are very pleased to announce that soon The Hair Lounge will be a fully certified salon which allows us to stock and service Easilock hair extensions. Our little client Ava had her hair cut off for the Princes Trust charity!